Ten days. That's how long we went with out power. Last night when the guy from KC Power and Light showed up, he looked up at the lines and said "this is all you've been waiting on?!" and then rolled his eyes and shifted his wad of dip to the other cheek. Twenty minutes later we had power and Chris and I started whooping and hollering like that guy had just made it rain. We ran inside and started turning on everything like the light switch was a brand new invention, lahightswitch. I'm not saying that every single person we dealt with during this ordeal was a peach, but for the most part everyone was so nice and understanding. The first pair of P&L guys that came out about the downed power line told us that it would have been better off if they hadn't come because when they saw the damage they new they'd have to turn off the power. They new that everything on the outside of the house would have to be replaced by an electrician. Our landlord couldn't even get an electrician to call him back until the second day. Oh, and our landlord? Nicest of them all. He was fraught with worry. He offered to put us up in a hotel, but we declined because we knew Hooper would be miserable there. He brought over an ice chest of beer and water. He brought over a heavy duty extension cord to run to the empty house next door. That helped a lot actually. But that guy up there in the picture? That guy? He's my favorite. 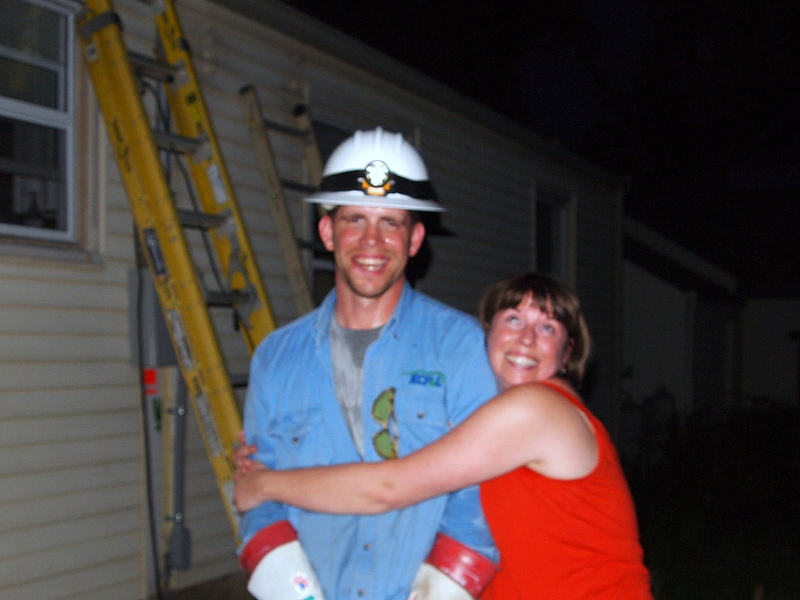 Not only did he get out power back on, but he totally agreed to pose in my 365 day picture. And that's why he's making it into a Love Thursday entry. He had no idea what he was getting himself into and I'm pretty sure he thought we were crazy. Yeah, well, that's what 10 days without electricity will do to ya.